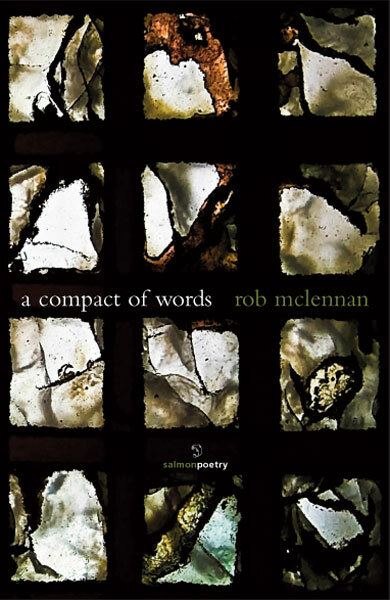 a compact of words, Canadian poet rob mclennan's fifteenth trade poetry title, comes out of a series of reflections on domestic matters - a break-up, his daughter - influenced by the ghazal as brought into Canadian literature through the American ex-pat John Thompson in the 1970s. Through disparate leaps, the lines write as much between them as the words themselves, writing out a clear and present labyrinthine voice that goes beyond even what the words themselves convey. Where not a word is wasted. Born in Ottawa in 1970, rob mclennan currently lives in Ottawa. He has published nearly two dozen trade titles of poetry, fiction and non-fiction in Canada, England and Ireland, and his poetry, fiction and critical work has appeared in over one hundred journals and anthologies in fourteen countries and in three languages. A prolific editor and publisher, he has edited a number of books for publishers including Insomniac Press, NeWest Press, Guernica Editions, Black Moss and Vehicule, and is the editor/publisher of above/ground press and the long poem magazine STANZAS (both founded in 1993), the online critical journal Poetics.ca (with Ottawa poet Stephen Brockwell, poetics.ca), the Ottawa poetry annual ottawater (ottawater.com), the online critical journal seventeen seconds and (with Jennifer Mulligan) the trade literary publishing house Chaudiere Books. He spent the 2007-8 academic year in Edmonton as writer-in-residence at the University of Alberta, and regularly posts reviews, essays, interviews and other notices at robmclennan.blogspot.com. He will be spending much of the next year in Toronto. rob mclennan (sic; the lower case is his insistence, not my mistake) is far from ordinary. He has an amazing writing and publishing output, and cannot fail to be on the radar of any poetry reader paying attention. From his Canadian base mclennan runs a pamphlet press, various book fairs and events, online journals of both poetry and poetics, inbetween travelling widely to book fairs, conferences and events around the world. En route he enthuses, challenges and networks and leaves in his wake a fine poetic output. I've just caught up with his 2009 book, a compact of words, from Irish publisher Salmon, a book rooted in domestic matters, including familial breakdown/break up. Much of mclennan's work here is his trademark, or at least familiar, single or two line verses, drawing on the ghazal as a form, with diverse images and ideas accruing meaning as the poem goes on, but others are more straightforward and lyrical, particularly the poems in 'blindness: seven poems for kate'. These are poems which pick at mental and emotional scabs, states of being, poems which articulate real life but aren't afraid to confuse and abuse the norm.